Did you know the Pauline Haass Public Library has thousands of ebooks and audiobooks you can borrow instantly, for free, using just the device in your hand? 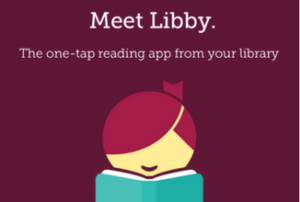 Meet Libby – The one-tap reading app. With Libby by OverDrive, it only takes a few taps to find, borrow, and enjoy your books. Download Libby today, available for free in the Google Play Store or Apple App Store. Got questions? Use our Libby App Instructions to get started or call the library at 262-246-5181. You can learn more about Libby and how it works on the Libby Help website. Join Us For Storytime Four Days A Week!